To explain how I came up with the justaBXmom name I feel like I have to share a little backstory. Shortly after justaBXgirl was born I was looking for an online community to belong to. I was looking for shared experiences. I was looking for mentorship in the world of single momness. I couldn’t find it. A lot of what I found told me that I should be angry. A lot of what I found told me I should be bitter and resentful. A lot of what I found told me that I should not enjoy being a mom. Now, don’t get me wrong. I don’t think every solo parent feels like this. I’m just sharing what I found when I began searching for a community outside my immediate circle. I decided that wasn’t cool. It wasn’t my story and I was sure there were others like me looking for more. 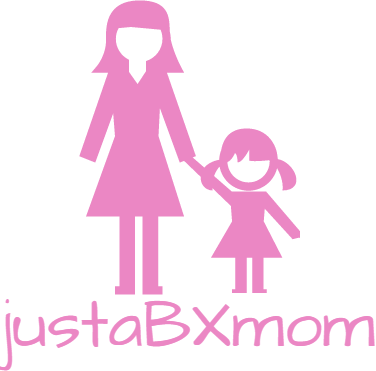 Around the time justaBXgirl turned one I started a Facebook group called Super Moms Unite later followed by one for moms and dads called Super Parents Unite. It was a start for me. These groups are made up of biological, foster, adoptive and step, single and married parents. These are still some of the first “experts” I turn to when having a parenting moment that needs attention. From the groups evolved an Instagram account that began as Super Parents Unite. A way to spread positive parenting messages mixed in with some parenting humor. Somewhere along the line I started sharing some personal images as opposed to merely reposting others’ images. I also started building relationships with other accounts. The more this happened the more I felt like I had to expand from the Super Parents Unite name because that was something I was trying to do and not all I was representing. It took some time for me to choose a new Instagram name but then it hit me. Who am I really? I’m just a mom from the BX trying to figure out this mom thing and help others do the same. I’m just a mom learning, loving and living through the chaos of my life. Once my captions became too long on Instagram I decided to move to a blog. And that my dear friends is how justaBXmom came to fruition. My story is no different from a million other moms. My hopes, fears, triumphs and failures are the same as yours. Married, single, adoptive, biological or bonus we all love our children and want nothing but the best for them all. #30DayBloggingChallenge – What’s In Your Bag?